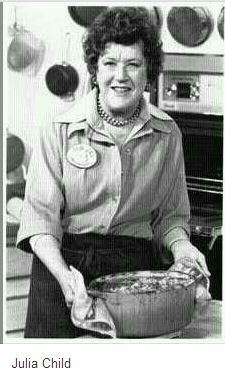 Julia Child was a TV chef and author who is recognized for bringing French cuisine to America with her cookbook, Mastering the Art of French Cooking, and her television program The French Chef, but did you know she also she served her country during World War II. Julia was born Julia McWilliams in Pasadena, California in 1912. She was the eldest of three children and had a brother John and a sister Dorothy. Her father was a prominent land manager and her mother was a paper-company heiress. Julia grew up in California and graduated from Smith College in Northampton, Massachusetts in 1934. At six feet, two inches tall, she enjoyed sports and played while she attended college. At the onset of World War II, Julia found she was too tall to enlist in the Army or Navy, so she moved to Washington D.C. In Washington she joined the Office of Strategic Services (OSS), a newly formed government intelligence agency. The OSS was formed to coordinate armed forces espionage activities behind enemy lines and became the predecessor of the Central Intelligence Agency (CIA). Julia began her career with the OSS as a typist, but was soon given a position as a top secret researcher working directly for the head of OSS. In 1944 she was sent to the CBI Theater and stationed at Kandy, Ceylon. Her duties included cataloging and channeling great volumes of highly classified communications for the OSS’s clandestine stations in Asia. She later served in China and received the Emblem of Meritorious Civilian Service as head of the Registry of the OSS Secretariat. In 1945, while serving in Ceylon, she fell in love with fellow OSS employee Paul Child. They were married in 1946 after the end of World War II. Paul had once lived in Paris as an artist and poet and was known for his sophisticated palate. He introduced Julia to fine cuisine and the rest is history. You may remember Julia Child for the French cuisine she served, but now you can also remember her for her exemplary service to her country. ← What does a Hollywood star, Jackie Coogan, have to do with a place called Broadway in the jungles of Burma during World War II?